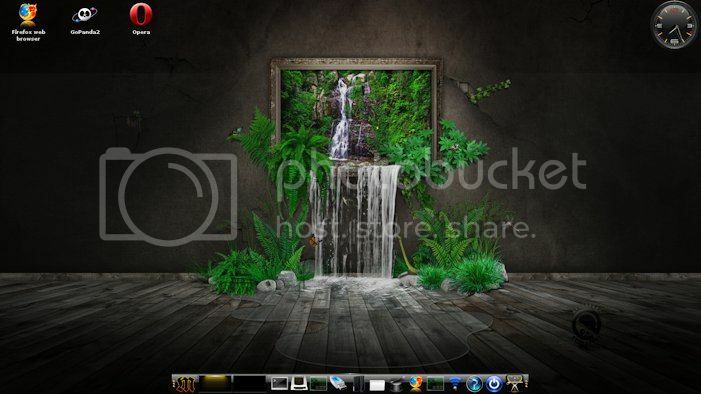 Linux that is binary-compatible with Ubuntu Precise packages. Firefox 21. MP550 also includes the Enlightenment E17 window manager. 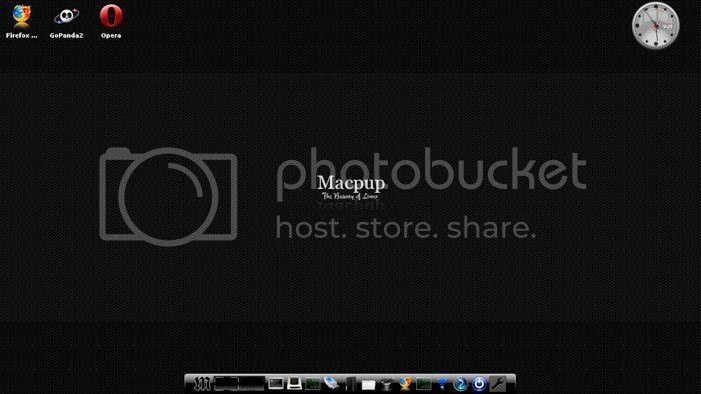 Macpup by CatDude and Runtt21. GrumpyWolfe,Maxpro4u, Rokytnji, 01miko and Playdaze. 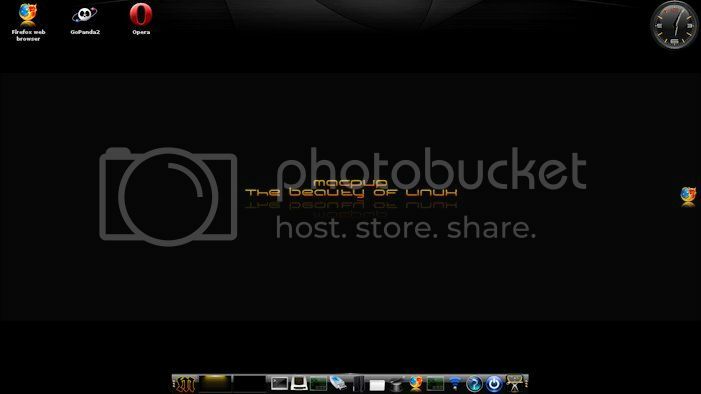 Extra Thanks to Agust(Verdegal37), The best E17 Themer on the planet. 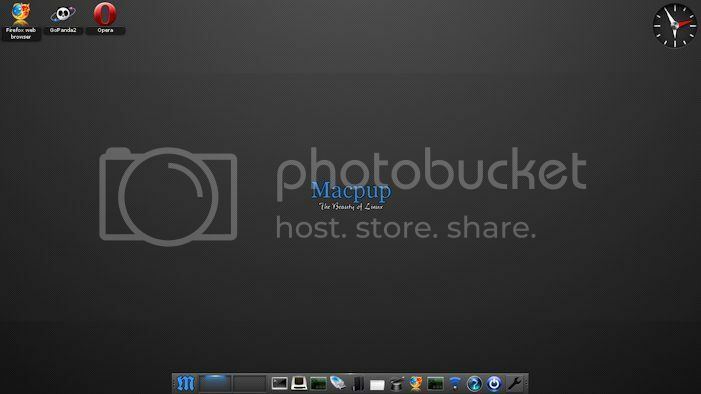 Special Thanks to BarryK the creator of puppylinux. The first time you run Macpup, The system will be running totally in RAM! system settings. Access the settings panel to make adjustments to e17. Menu-settings-settings panel or the settings icon on the right end of the Ibar. not intended for use on a real "Mac". But some features may not work. I dont recommend using older themes than that. In addition to all the people on the team that I usually thank I have to give a special Thank you to Karl Godt on the puppy forum. I had ask him to help test 550 for localization issues. Not only did he help out with that but came up with the keyboard fix, I will discuss later in this thread, but also help fix several Issues that I have add since we started using e17. Sir Thank you Very much !!! The desktop in 550 is "unlocked". 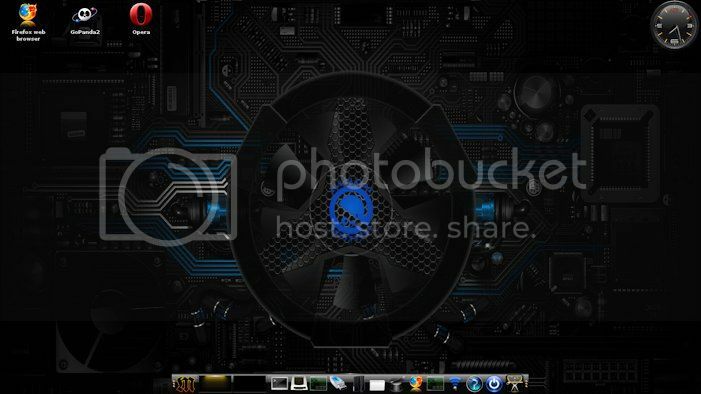 Copy any .desktop file from /usr/share/applications or anywhere else into /root/Desktop and you will have a icon on the desktop. By default these icons are double click.That can be changed to single click in the EFM settings. Also the icons stay "selected" until after you click on the desktop some where else. The Enlightenment File Manager has improved greatly , its still not as functional as ROX so ROX remains macpup's default Filer. EFM has a menu entry now and can be added to the desktop or ibar. But before you use it go to menu-settings-theme and select the default theme. This will correct some icons and actions. I don't know why it isn't already selected its in use.....Note that drag-n-drop in EFM moves not copies. Changes to the Favs menu dont change right away , A full reboot/restart is need to make the change. Support for the extra modules has officially been dropped by the e team. Most no longer work or cause problems for e. I was able to get the core ones working. The extramods-1.pet has engage,flame,snow,rain,and penguins. extramods-2 has alarm,cpu,net and wlan. These worked for me ,loaded and unloaded without causing problems but We did have one report of rain locking e up when unloading on one of our testers computers. so be advised. If you run into this little white box just press F1 and keep going. 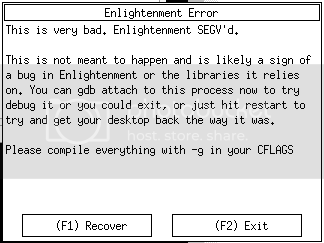 But if something happens and X crashes type xwin enlightenment_start at the prompt. Both cases are extremely rare. This is FYI just in case. Mostly for laptop users, if you have problems keeping a connection use the Frisbee network manager by Jeremiah. It takes a little longer to set up and find networks and then connect the first time but it works great after that and does a much better job maintaining a connection. If you dont get a entry in the menus after installing something run menu-enlightenment-restart to fix it. If you install the chromium.pet in the ppm you will need libpng14 I have a .pet for that in the 550 folder. 550 does a better job of localizing than 529 did but it still has some issues.You will need to set your keyboard layout if you are a non english user. This can be done in the wizard under advanced keyboard settings. And then restart X .Karl has also make a cool little app that will do this. Install the KeyzboardFixxer-1.pet . This will make a entry in menu-applications-desktop e17 keyboard-restore. This will set up your keyboard and fix it again if something happens. That something will happen when you install packages or change themes. The problem in e17 is caused by a bug in X11 . Barry has a fix and we will be using a newer version of precise for the base of the next pup. E17 does have a keyboard layout switcher but it gave me a lot of problems in the 542 build so I pulled it out of 550. I had hoped that doing so would stop e17 from setting a layout and let puppy's settings stand but it didn't work. This pup is really important for me.It's the first one built on my new laptop.The old one that built every e17 macpup is still broke.I am going to get it fixed later. That is one of the reasons for the delay in releasing a new pup. It has been a year since our last one.Sorry about that. Lord willing it wont take that long again.Please understand that we consider this to be a development release. More than one prayer has been said for this one and I hope it is well received. Thank you and Enjoy !! For what it's worth I had no trouble, and a nice fast download, a bit earlier today. The first day or two immediately after a release generally results in a really high number of downloads and occasional slowdowns. Believe I used mirror #3.... no trouble. Can't wait to try this one out!! You will need to set your keyboard layout if you are a non english user. ... ... ...and fix it again if something happens. That something will happen when you install packages or change themes. Oh, I'm so sorry to hear / read this! This will hopefully begone in the next release? 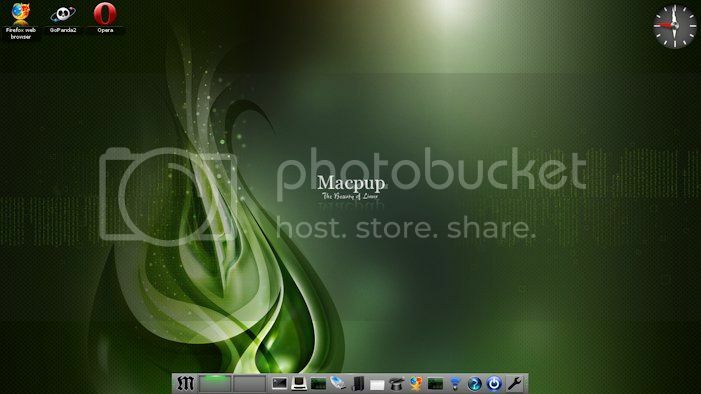 Remember: I wanted to use the MacPup to create LazY MacPupy from this to give it away on USB flash drives to friends on birthdays etc.pp. Nice ...you are back in town !! ... when using "Advanced Xorg keyboard configuration .